Every girl is looking for her great day. Which dress, which location, …? 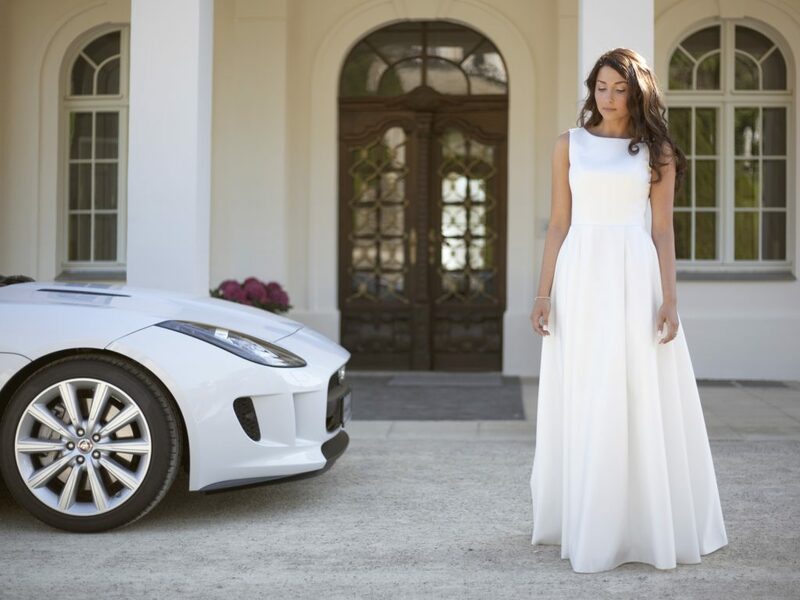 Elly would choose a nice wedding dress from local designer „Herrmann Moden“ in Dresden, a white Jaguar F-Type and Schloss Wackerbarth. All together would be a perfect combination.